"The long-term trends toward warmer temperatures are clear and continuing"
Last year was the fourth hottest since reliable global temperature records began in 1880, behind only 2015, 2016 and 2017, NBC News reported. 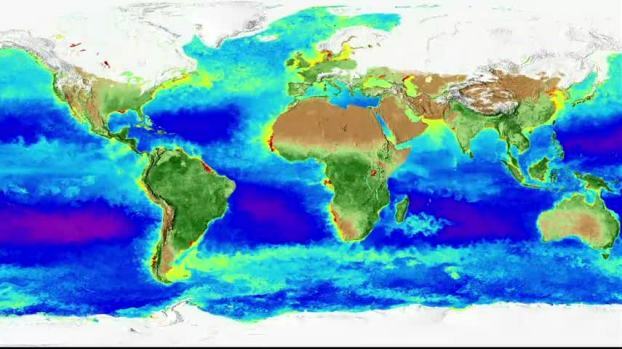 The conclusion comes in a new analysis of climate data by NASA and the National Oceanic and Atmospheric Administration that was released Wednesday. The data indicate that "global warming shows no sign of slowing down or stopping," Kristina Dahl, a senior climate scientist at the Union of Concerned Scientists, told NBC News in an email. Not every region experienced the same warming trend — 2018 was only the 14th hottest year on record for the United States, while the trend was strongest in polar regions. Scientists broadly agree that global warming is primarily caused by human activity. Gavin Schmidt, director of NASA's Goddard Institute for Space Studies, which was part of the analysis, said in an email, "The long-term trends toward warmer temperatures are clear and continuing."